So I have really just jumped right into the whole fall cooking idea… and may have gone a little overboard with the use of pumpkin. There will be a few more pumpkin posts to follow! 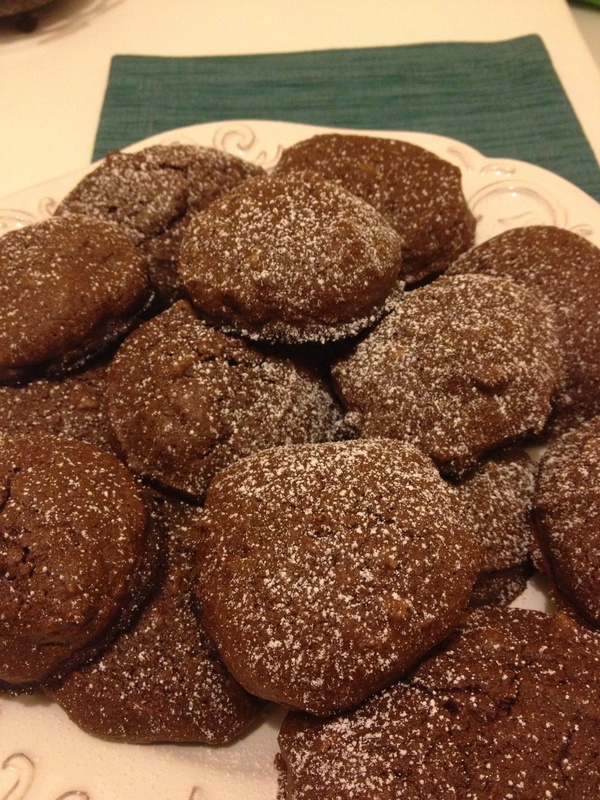 Today is Chocolate Chocolate Pumpkin Cookies. Not too sweet, great texture, and filling. A great fall afternoon snack! Stir well until dough is combined. On a greased cookie sheet, drop tablespoons of dough. Leave about an inch between each cookie. Bake at 350 degrees for 18-20 minutes, until a toothpick comes out clean when put in the middle of each cookie. Pumpkins and apples and leaves, oh my! Fall is upon us, and so is the abundance of canned pumpkin. Pumpkin has a ton of fiber and not many calories, so I had to get my fill this time of year. 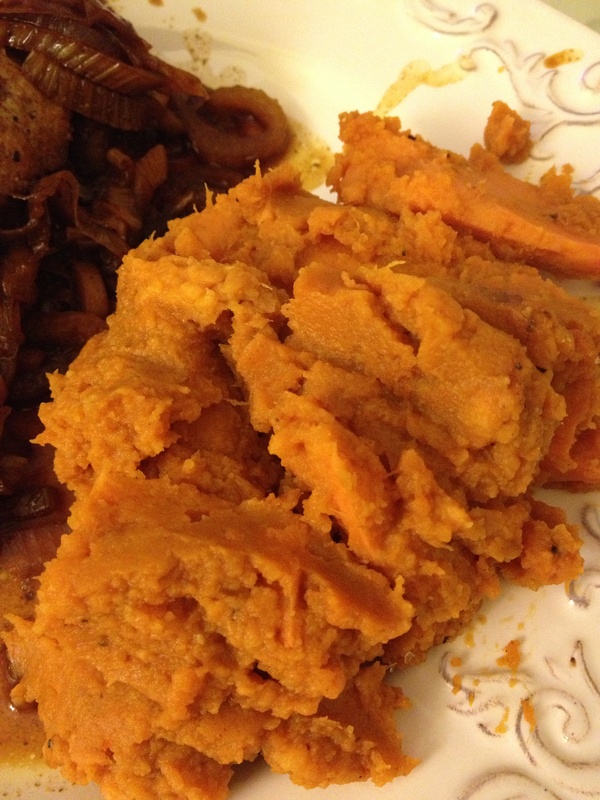 I made mashed sweet potatoes with pumpkin… what a great fall side dish! Peel the sweet potatoes and chop into 1 inch cubes. Steam or microwave the sweet potato cubes until soft (about 10 minutes). In a large pan, add the soft sweet potatoes, pumpkin, apple cider, vegan butter, pumpkin pie spice, cinnamon, salt and pepper. 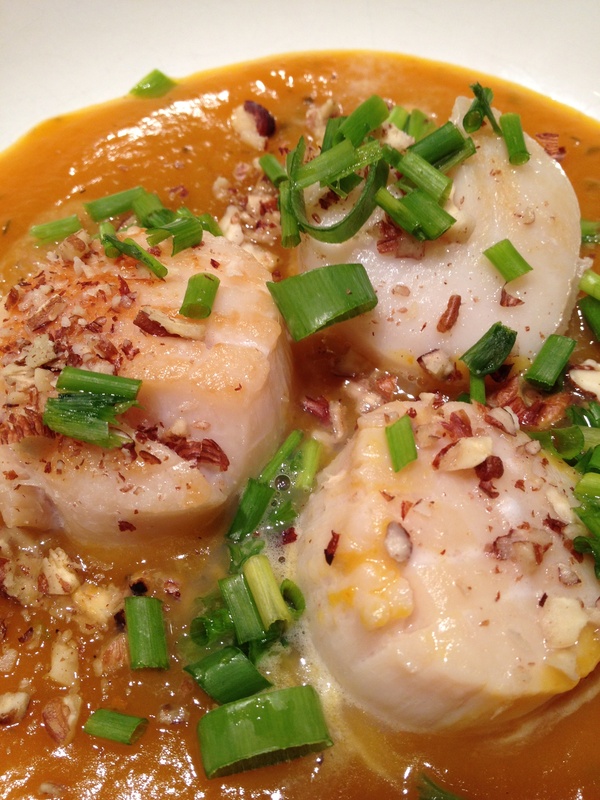 Yes, you read that right… scallops and pumpkin! I told you my mom was great at finding unique recipes! This one you certainly might skip over in a magazine (Men’s Health is where this originally came from) if you read the title quickly, but trust me… it was beyond delicious! The flavors were great, and perfect for the upcoming fall weather. Mom served it over pasta (and added a few of her own flavors) to make it a heartier dinner meal. Again, another fish recipe I will definitely keep. Toast the hazelnuts and pecans in a shallow saute pan over medium heat, just until they are lightly toasted and you can smell them. Combine pumpkin, honey, butter, broth in saucepan and heat over medium heat, until heated through. Season with salt and pepper. Dry the scallops with a paper towel and sprinkle with salt and pepper. Heat a saute pan over medium high heat for a couple minutes. Add the olive oil, lemon juice, and then the scallops to the heated pan. Cook the scallops about 2-3 minutes each side, until browned and firm. Pour the pumpkin mixture into a bowl, add the scallops on top. Garnish with hazelnuts, pecans, chives, and scallions. 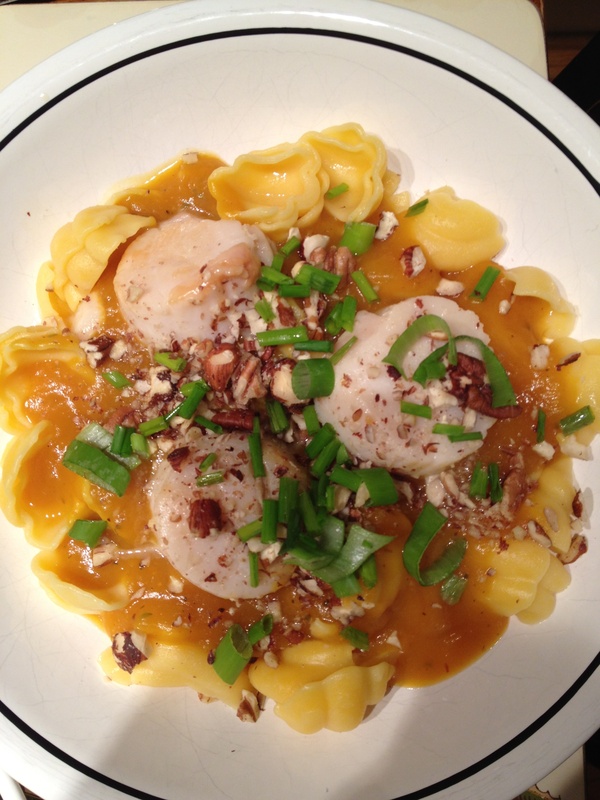 (Note: if serving with pasta… plate the pasta, then the pumpkin on top, then the scallops and garnish). 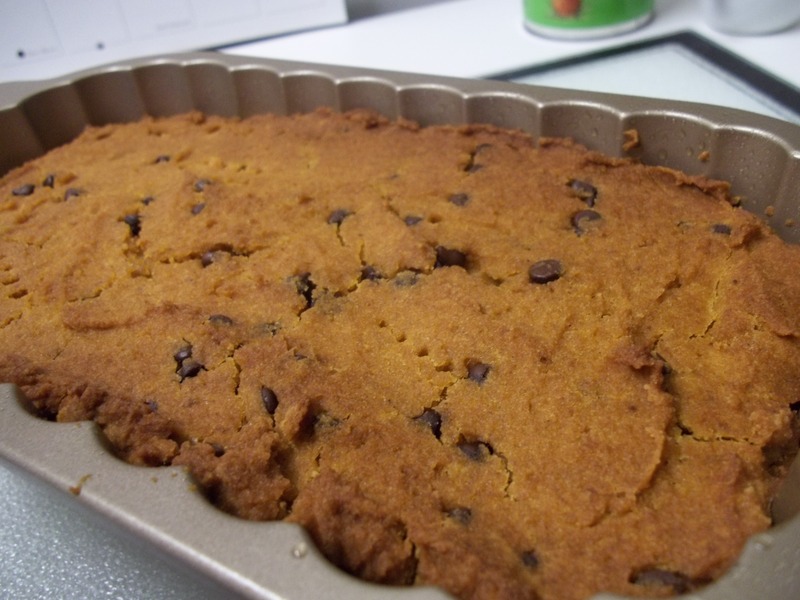 The cooler weather inspired me to take another pass at the chocolate chip pumpkin bread… and take 2 was much better than take 1! I upped the sweet and spicy parts of the recipe, which really improved the flavor. 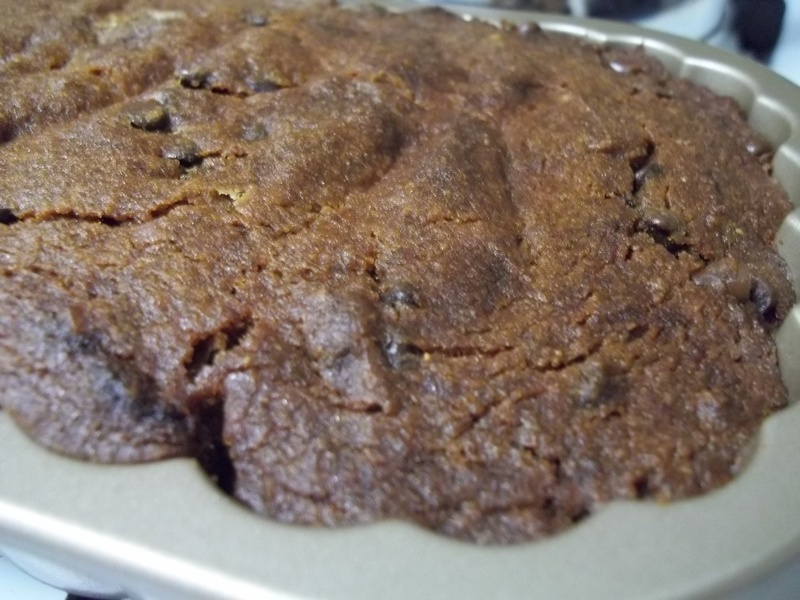 Next time, I will add some walnuts, craisins, or pecans… so many possibilities for fall. I think I’m ready for fall cooking! Add mixture to a greased bread pan. Serve with some spread butter and/or powdered sugar. As sad as I am to see summer drift away, the pumpkins in the grocery store are enticing me to make some fall recipes. 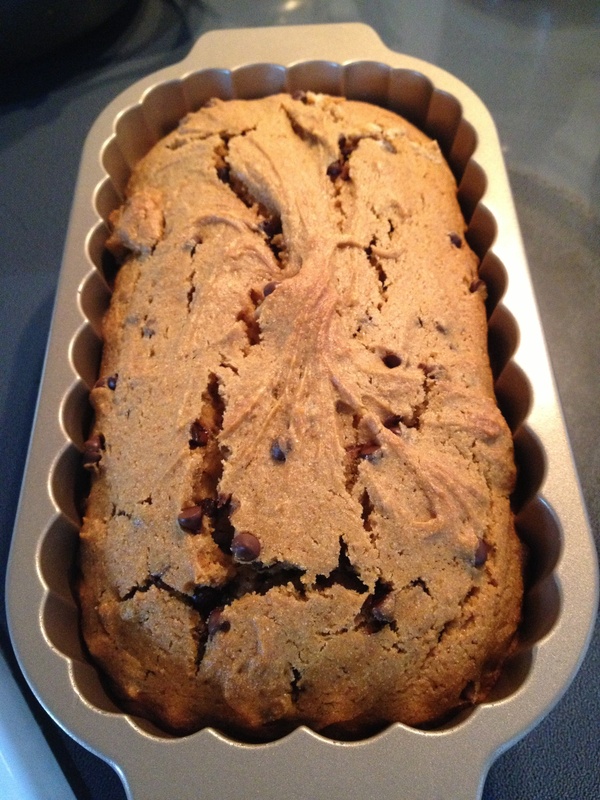 So I made my very first attempt at Chocolate Chip Pumpkin Bread. My first try was pretty good, but I think I need to make a few improvements. It needs a little more sugar (as much as I hate to say that), and I think I would use vegan butter instead of oil next time. Also, more spices would really kick up the flavor. In a greased bread pan, pour the ingredients. What is so great about pumpkin bread are the varieties it can take… you can add craisins, walnuts, pecans, cinnamon chips… the list goes on. Stay tuned for take #2 soon.